Complete package solutions for the F1 in Schools STEM Challenge, incorporating Design, Analyse, Make, Test & Race elements. A growing number of schools and colleges are looking for complete package solutions, which include software, hardware (such as CNC machines) and consumables – in fact, everything you will need to get your students involved in this innovative educational Project! The F1 in Schools STEM Challenge stimulates a student’s interest in and understanding of the entire process of design and manufacture. 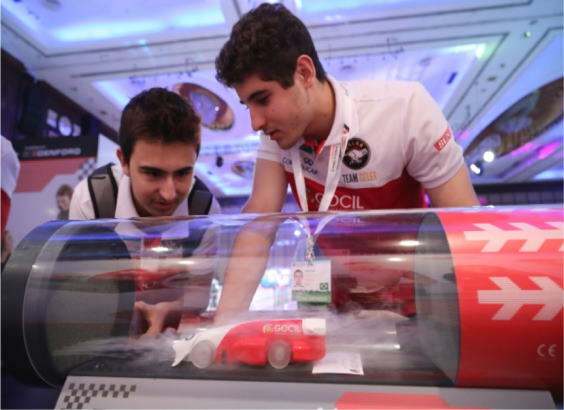 Through involvement in F1 in Schools, students will gain first-hand experience of teamwork and communication, whilst developing individual flair and confidence. The Challenge provides students with the opportunity to reflect industrial working practice of developing a product from concept, to prototype to production. In support of F1 in Schools, Denford offers 2 complete Packages: The F1 Car Manufacturing Package, which incorporates Design, Analyse and Make elements, including a Denford CNC Router; and the F1 Car Manufacturing, Test & Race Package which covers Design, Analyse, Make, Test and Race.